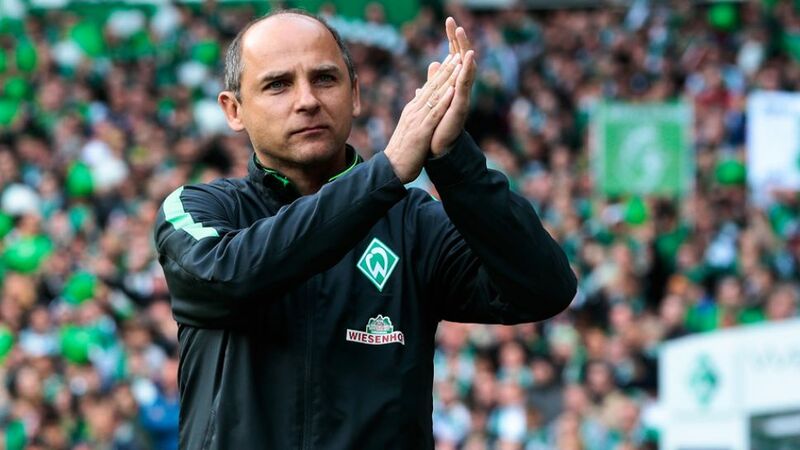 SV Werder Bremen have tied head coach Viktor Skripnik and key attacker Fin Bartels to the club after both signed contract extensions on Friday. Skripnik, whose previous deal was due to expire next summer, has agreed to fresh terms valid until the end of the 2017/18 season, while Bartels has signed on for another three years. "Werder has always been strong when we've had a certain amount of continuity," said club CEO Frank Baumann at a press conference on Friday. He went on to praise Skripnik for "bringing about many positive changes and developing players over the last two years." The 46-year-old head coach took charge of first team duties in October 2014 following the departure of Robin Dutt. "I'm delighted to have extended my contract and I'm hungry to see what the future holds," said Skripnik, who helped the Green-Whites narrowly avoid relegation at the end of last season. Bremen will kick-off the 2016/17 campaign away to FC Bayern München in the opening match of the Bundesliga season. Bartels was equally pleased to continue his stay at the Weser Stadium. "I've never hidden the fact that I feel at home here," said the 29-year-old, who has contributed 14 goals and nine assists in 66 competitive games for the club. "Everything happened pretty quickly. Both parties had clear ideas and it all came together swiftly. The city, the fans, the stadium and the team spirit – everything's great. I'm happy that it's going to continue." Friday was a busy day for Bremen, who also completed the signing of Senegalese centre-back Fallou Diagne on a three-year contract from French Ligue 1 side Rennes. The defender has previous Bundesliga experience, making 57 top-flight appearances for SC Freiburg between 2012 and 2014.